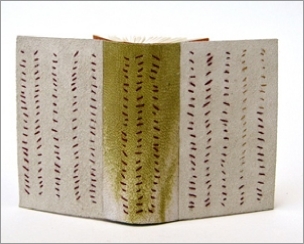 The book is covered in suede stitched with silk. 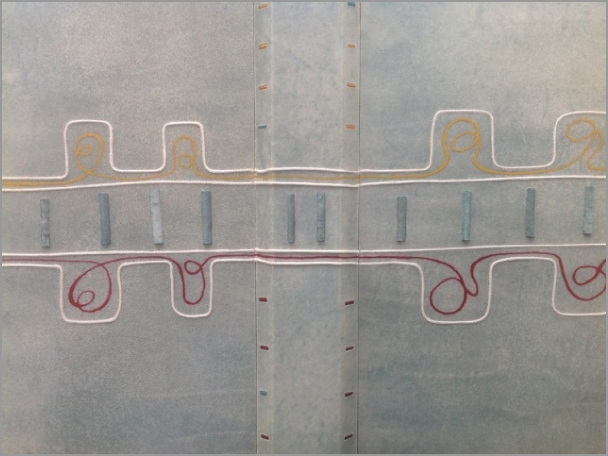 The endpapers are Japanese tissue over relief shapes. A separate map is in a hand-made paper folder. 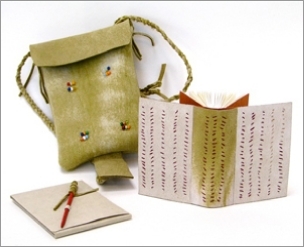 Both the book and the folder fit into a beaded, suede pouch. 90 pages, 65 x 51 x 16mm, copy no 72 from edition of 100. Written and illustrated by Alice M Cornell, Fox Moon Publications, Cincinnati, Ohio. 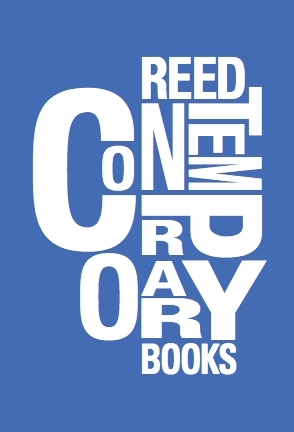 Set in Gill Sans at Larkspur Press. Bound in 2009 by Lori Sauer. A special binding of 'A Line', printed by Incline Press in 2009. 245 x 200 x 28mm, Dos Rapporté structure, bound in velllum dyed with acrylic ink with string and vellum inlays, cut outs on spine with calf inlays, painted ink lines, calf covered endbands, vellum doublures, monoprint endleaves. Cloth covered box lined with synthetic suede. Bound in 2014 by Lori Sauer.